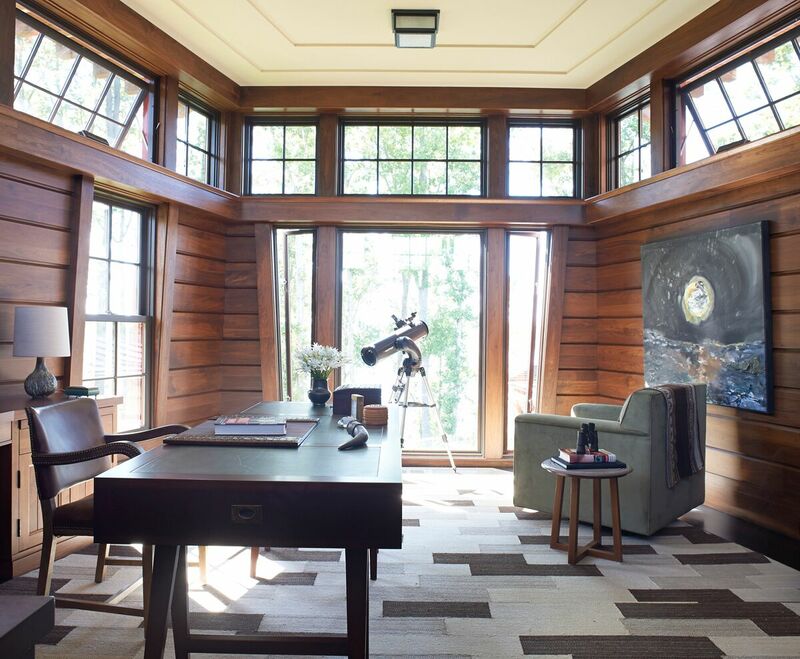 The other day we explored architecture and design from one of my favorite creatives masterful with timelessness, Jeffrey Dungan (right here), and today you are sure to be inspired by even more Cozy Warm Handsome Interior Design Inspiration from Dungan, KAA Design, Evens Architects, Ike Kligerman Barkley, Patrick Sutton, and Tom Stringer. Breathtaking stone exterior. Architecture/Design: Jeffrey Dungan. Photo: William Abranowicz. Also, see a tour of Dungan’s recent architectural work RIGHT HERE. Cozy Warm Handsome Interior Design Inspiration as well as rugged, rustic, warmth for fall. Decidedly autumnal architectural and design inspiration from a handful of successful designers who know their way around handsome interiors…certainly lovely indeed. Yesterday’s post was all about casual, pretty, fall decor touches, and today is a true departure unto luxurious classicism. Handsome and cozy just feel right in autumn or winter when there is a chill in the air, oui? Breezy whites of summer give way to umber beauty. 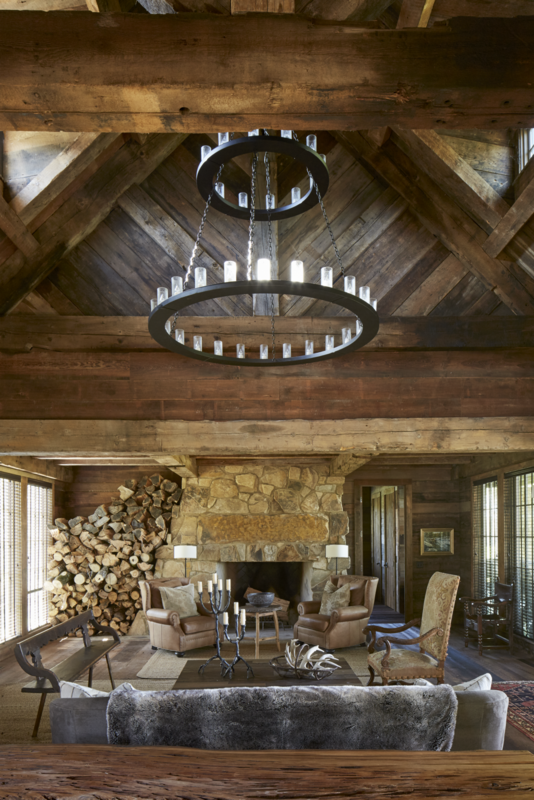 Think rustic character-rich planks of wood, rugged stone, luxurious lodge lovely, sturdy iron, generous proportions, natural materials, hefty scale, pleasing patina, durable textures, and un-fussy sophistication. Even if you remain a greater fan of pretty and precious, there is much to learn on the flipside from these design studies in sensual scale, robust beauty, and organic sensibilities. Architecture/Design: Jeffrey Dungan. Photo: William Abranowicz. Also, see a tour of Dungan’s recent architectural work RIGHT HERE. Cozy Warm Handsome Interior Design Inspiration as well as rugged, rustic, warmth for fall. Decidedly autumnal architectural and design inspiration from a handful of successful designers who know their way around handsome interiors…certainly lovely indeed. See a tour of Dungan’s recent architectural work RIGHT HERE. How refreshing to discover design with such profound grounding in wonder. A reverence for nature is certainly not remarkable in the architectural realm, but to continue to grow in wonder and discover new relationships with light as this designer does! A devotion and commitment to timeless work is so evident in the work. Perhaps such higher level consciousness and reverence for light is a result of growing up on a family farm in rural Alabama. Whatever the case may be, a soulful approach centered in humility yields a body of beautiful structures which will stand the test of time. 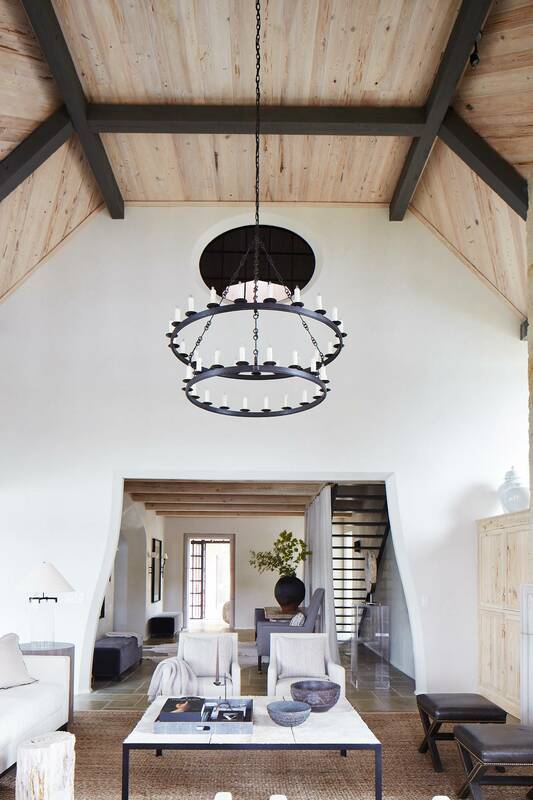 Soaring ceilings and an airy interior. Architecture/Design: Jeffrey Dungan. Photo: William Abranowicz. Also, see a tour of Dungan’s recent architectural work RIGHT HERE. 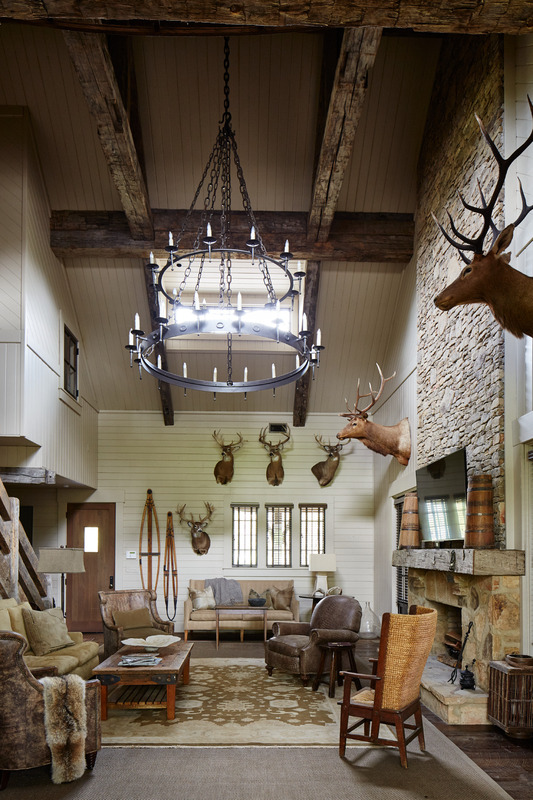 Cozy Warm Handsome Interior Design Inspiration as well as rugged, rustic, warmth for fall. Decidedly autumnal architectural and design inspiration from a handful of successful designers who know their way around handsome interiors…certainly lovely indeed. Drama and classic good looks. Architecture/Design: Jeffrey Dungan. Photo: William Abranowicz. Also, see a tour of Dungan’s recent architectural work RIGHT HERE. 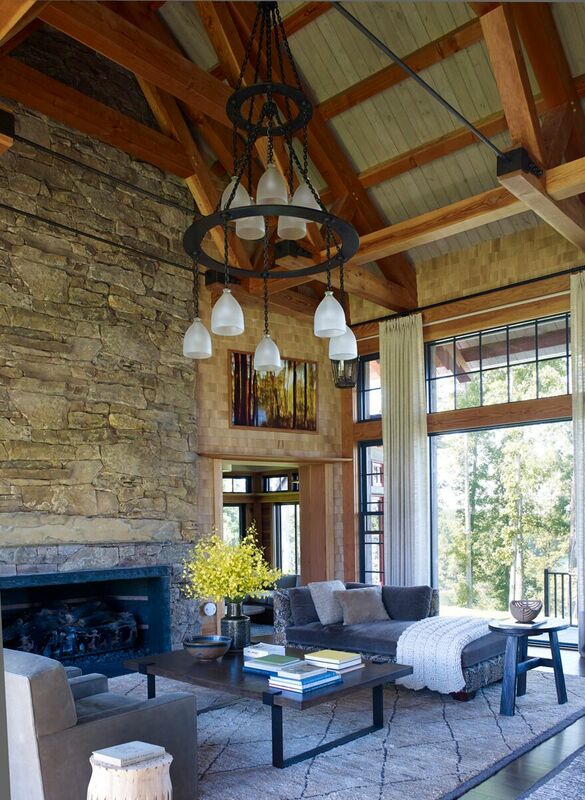 Cozy Warm Handsome Interior Design Inspiration as well as rugged, rustic, warmth for fall. Decidedly autumnal architectural and design inspiration from a handful of successful designers who know their way around handsome interiors…certainly lovely indeed. Shutter heaven. Architecture/Design: Jeffrey Dungan. Photo: William Abranowicz. 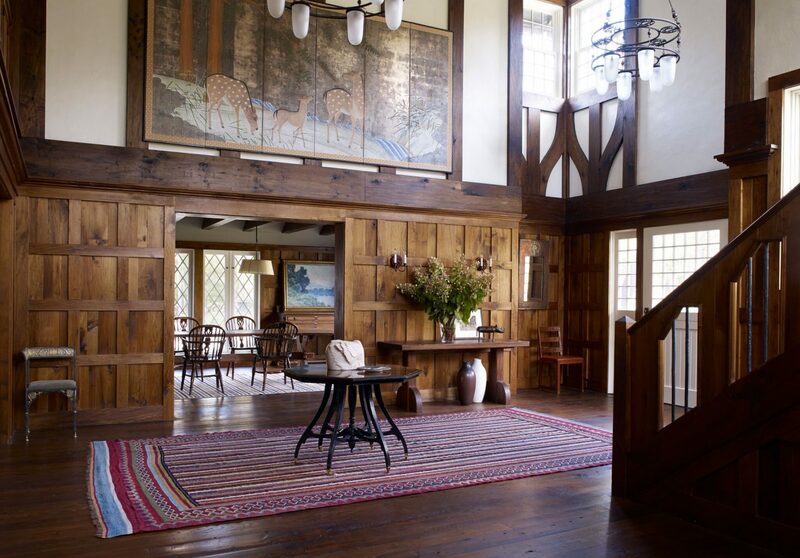 Also, see a tour of Dungan’s recent architectural work RIGHT HERE.Cozy Warm Handsome Interior Design Inspiration as well as rugged, rustic, warmth for fall. Decidedly autumnal architectural and design inspiration from a handful of successful designers who know their way around handsome interiors…certainly lovely indeed. A place to cozy on down. Architecture/Design: Jeffrey Dungan. Photo: William Abranowicz. Also, see a tour of Dungan’s recent architectural work RIGHT HERE. Cozy Warm Handsome Interior Design Inspiration as well as rugged, rustic, warmth for fall. Decidedly autumnal architectural and design inspiration from a handful of successful designers who know their way around handsome interiors…certainly lovely indeed. The stunning houses of Grant Kirkpatrick and KAA Design illustrate why Southern California is so often praised for sophisticated modern living. Inspiring garden for the books! Architecture/Design: KAA Design. Led by founding Partner Grant Kirkpatrick, Partner Duan Tran, and Principal Patti Baker, KAA Design is dedicated to advancing the California lifestyle through contemporary architecture. Cozy Warm Handsome Interior Design Inspiration as well as rugged, rustic, warmth for fall. Decidedly autumnal architectural and design inspiration from a handful of successful designers who know their way around handsome interiors…certainly lovely indeed. Minimal luxe and such beautiful balance. Architecture/Design: KAA Design. Led by founding Partner Grant Kirkpatrick, Partner Duan Tran, and Principal Patti Baker, KAA Design is dedicated to advancing the California lifestyle through contemporary architecture. Cozy Warm Handsome Interior Design Inspiration as well as rugged, rustic, warmth for fall. Decidedly autumnal architectural and design inspiration from a handful of successful designers who know their way around handsome interiors…certainly lovely indeed. A kitchen island with beaucoup storage. Architecture/Design: KAA Design. Led by founding Partner Grant Kirkpatrick, Partner Duan Tran, and Principal Patti Baker, KAA Design is dedicated to advancing the California lifestyle through contemporary architecture. 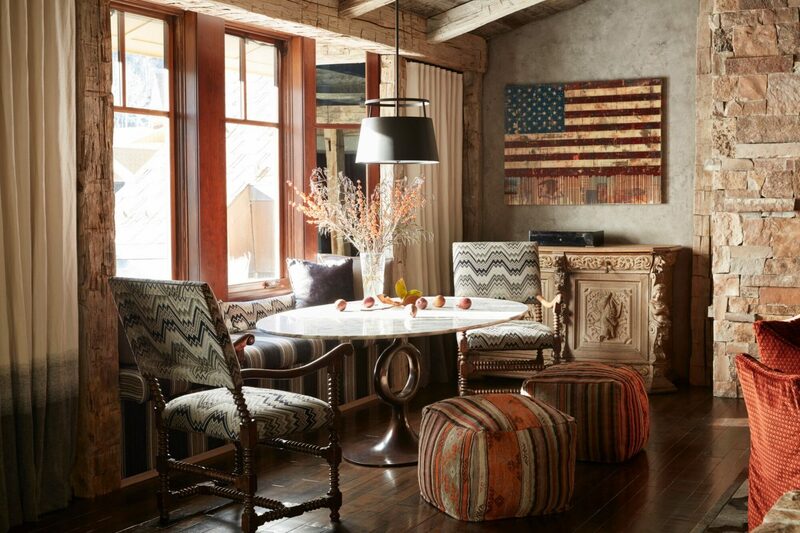 Cozy Warm Handsome Interior Design Inspiration as well as rugged, rustic, warmth for fall. Decidedly autumnal architectural and design inspiration from a handful of successful designers who know their way around handsome interiors…certainly lovely indeed. 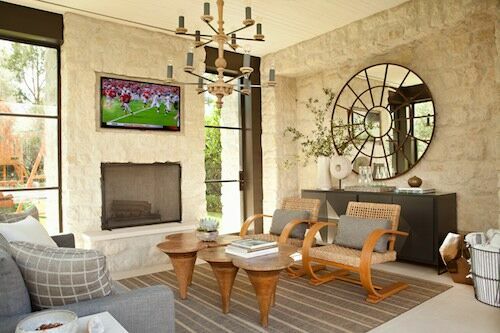 Rugged pale stone in a gorgeous space for lounging. Architecture/Design: KAA Design. Led by founding Partner Grant Kirkpatrick, Partner Duan Tran, and Principal Patti Baker, KAA Design is dedicated to advancing the California lifestyle through contemporary architecture. Cozy Warm Handsome Interior Design Inspiration as well as rugged, rustic, warmth for fall. Decidedly autumnal architectural and design inspiration from a handful of successful designers who know their way around handsome interiors…certainly lovely indeed. 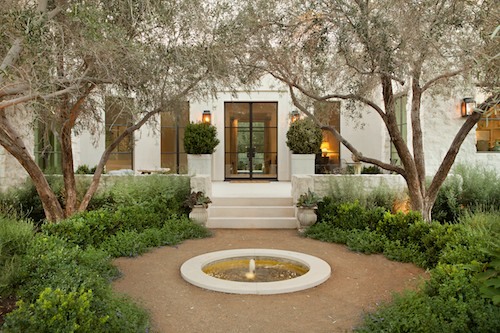 California Contemporary: The Houses of Grant C. Kirkpatrick and KAA Design. Princeton Architectural Press, 2018. Two dozen magnificent custom homes, modern in style, are built of sensuous materials and sited to make the most of nature, views, and sunlight. This collection of visionary residences, shown in gorgeous photographs and colorful drawings, represents the California Dream, by an architect chosen by celebrities including Tom Hanks and Rita Wilson, Matt Damon, and Julia Louis-Dreyfus, for their personal retreats. Kirkpatrick offers his reflections on these beautiful projects and the design strategies behind their creation. Grant Kirkpatrick, a native son of Southern California, writes and speaks frequently on Southern California as a hotbed for design. 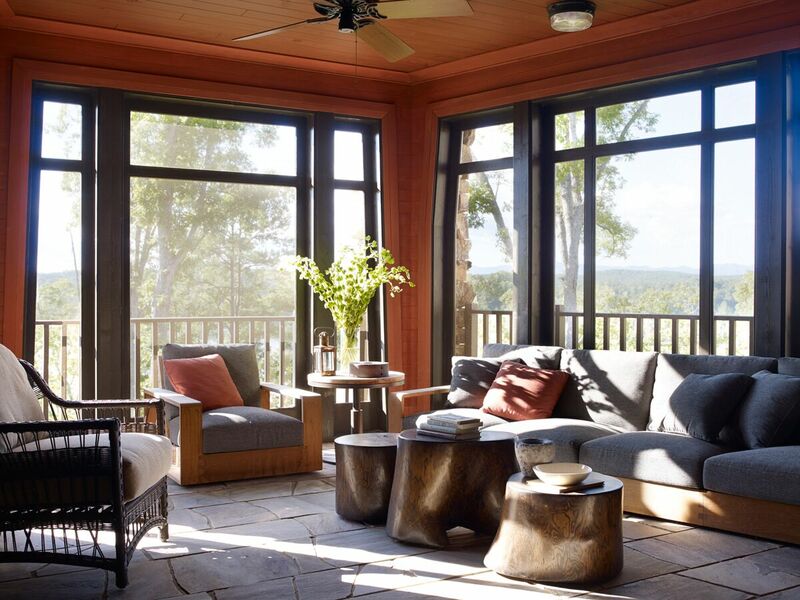 His work has been extensively published in design magazines such as Architectural Digest, House Beautiful, New York Times, L.A. Times, Coastal Living, Sunset magazine, and the Robb Report. Their design philosophy is predicated on deep, meaningful connections between the house and the land. Southern California is blessed with a nurturing environment that provides extraordinary opportunities for true indoor-outdoor living. The homes designed by this firm fulfill that promise with beauty and joy. Let there be light! Design: Evens Architects. Evens Architects is committed to the idea that architecture inspired by classic traditions (whether Spanish, Italian, French or even Moroccan), is uniquely well suited to the climate, landscape, and culture of contemporary California. Adept at the interpretation of classical design languages, this team strives to reflect the tastes of their clients and the particulars of their locale. 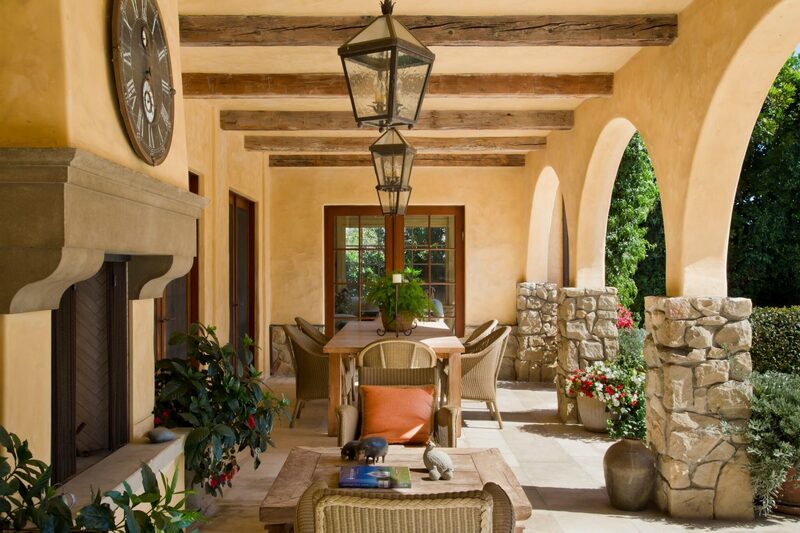 Classic arches and lanterns in an inspiring sheltered outdoor space. Design: Evens Architects. Evens Architects is committed to the idea that architecture inspired by classic traditions (whether Spanish, Italian, French or even Moroccan), is uniquely well suited to the climate, landscape, and culture of contemporary California. Adept at the interpretation of classical design languages, this team strives to reflect the tastes of their clients and the particulars of their locale. Stone, stucco, and terra cotta become elements of a nuanced design language spoken to articulate the stories of their clients’ lives and ambitions. The complexity and individuality of those stories supersedes questions of style and taste. 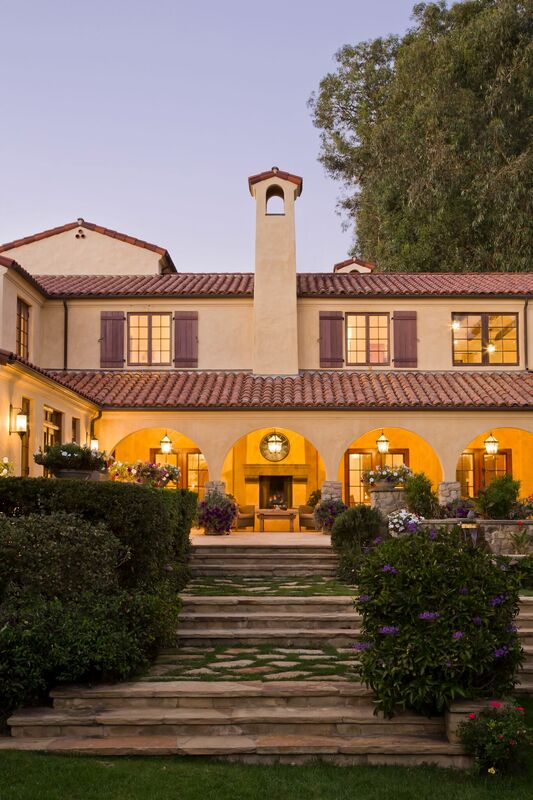 Far beyond dry exercises in Spanish Colonial or Mediterranean Revival, the goal is to create highly personal, one-of-a-kind homes that enrich the lives of the people who occupy them. Design: Evens Architects. Evens Architects is committed to the idea that architecture inspired by classic traditions (whether Spanish, Italian, French or even Moroccan), is uniquely well suited to the climate, landscape, and culture of contemporary California. Adept at the interpretation of classical design languages, this team strives to reflect the tastes of their clients and the particulars of their locale. IKB is the recipient of numerous awards, including the AIA New York Chapter Award, the DDB Stars of Design Award, the ICAA Julia Morgan Award and the ICAA Stanford White Award, as well as participating in the AD100 since 1995. In 2010, the Monacelli Press published Ike Kligerman Barkley: Houses; their second book with the publisher, The New Shingled House, debuted October 2015. 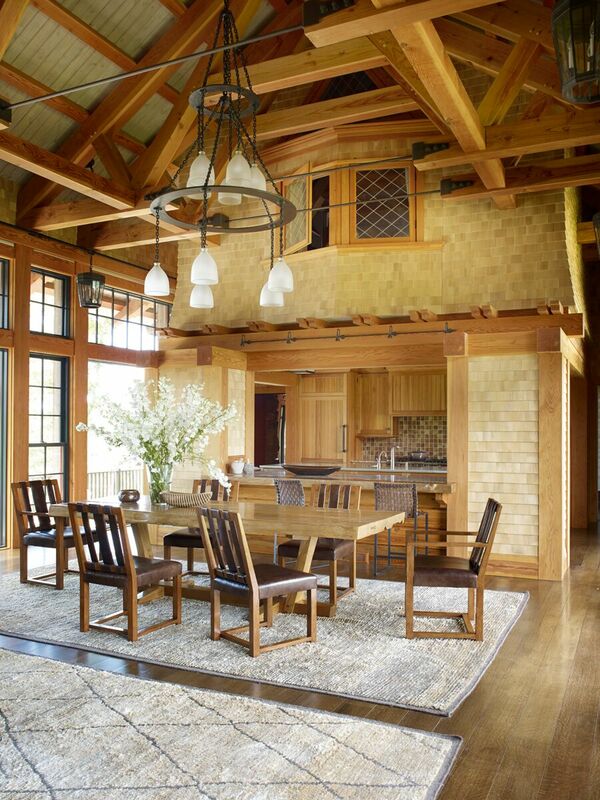 Thrilling architectural details.Design: Ike Kligerman Barkley. This firm collaborates with clients, craftsmen and colleagues to produce personalized living environments as well as the occasional high profile public building. 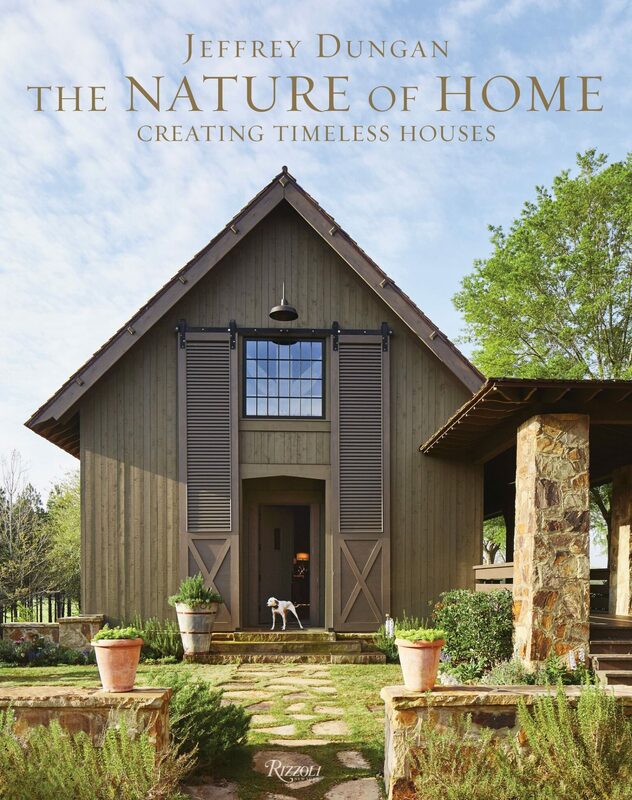 In 25 years, they designed buildings across the country and around the world: a Georgian townhouse in the River Oaks neighborhood of Houston; a mountain lodge in Aspen; a loft in a repurposed butter factory in Manhattan; a vernacular white villa in Cabo San Lucas; a Romanesque building on Stanford’s campus; and a rambling, weathered shingle house in Martha’s Vineyard. 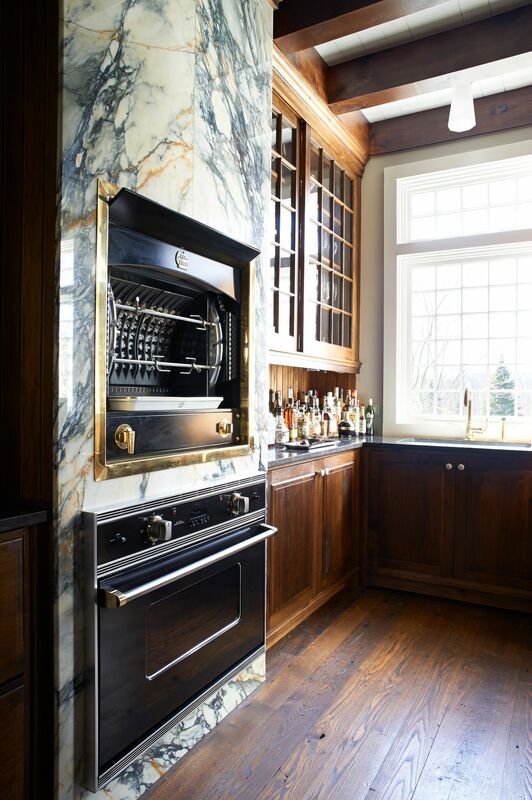 Warmth and luxury in a kitchen. Design: Ike Kligerman Barkley. This firm collaborates with clients, craftsmen and colleagues to produce personalized living environments as well as the occasional high profile public building. In 25 years, they designed buildings across the country and around the world: a Georgian townhouse in the River Oaks neighborhood of Houston; a mountain lodge in Aspen; a loft in a repurposed butter factory in Manhattan; a vernacular white villa in Cabo San Lucas; a Romanesque building on Stanford’s campus; and a rambling, weathered shingle house in Martha’s Vineyard. 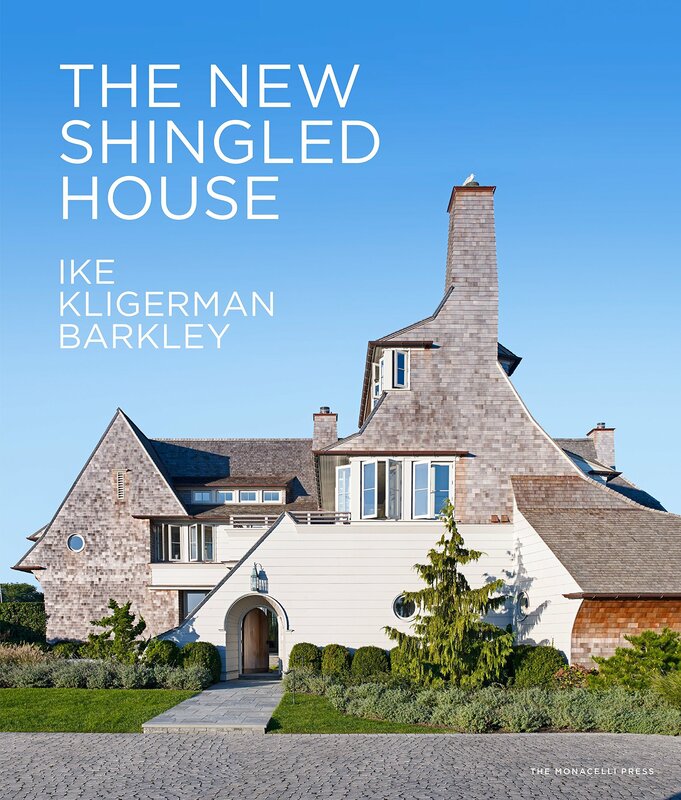 The New Shingled House (Monacelli Press, 2015) by Ike Kligerman Barkley. So handsome! Design: Ike Kligerman Barkley. This firm collaborates with clients, craftsmen and colleagues to produce personalized living environments as well as the occasional high profile public building. 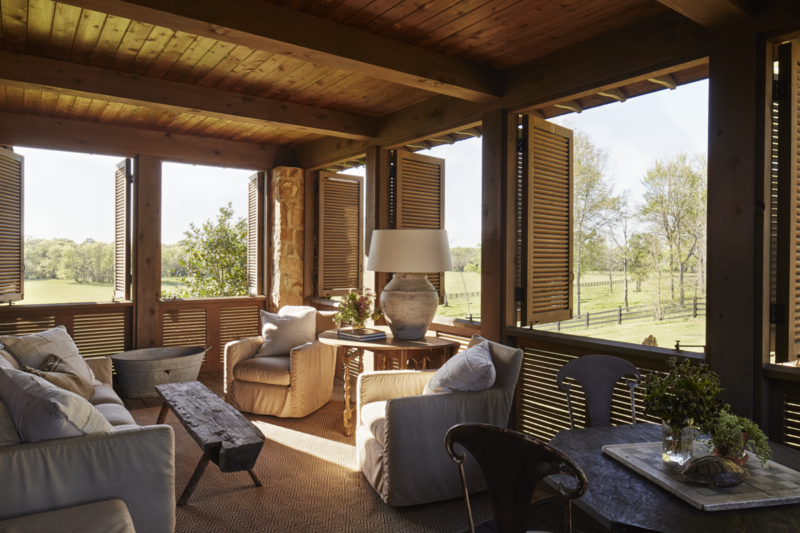 In 25 years, they designed buildings across the country and around the world: a Georgian townhouse in the River Oaks neighborhood of Houston; a mountain lodge in Aspen; a loft in a repurposed butter factory in Manhattan; a vernacular white villa in Cabo San Lucas; a Romanesque building on Stanford’s campus; and a rambling, weathered shingle house in Martha’s Vineyard. Handsome Interior Design Inspiration. Design: Ike Kligerman Barkley. This firm collaborates with clients, craftsmen and colleagues to produce personalized living environments as well as the occasional high profile public building. In 25 years, they designed buildings across the country and around the world: a Georgian townhouse in the River Oaks neighborhood of Houston; a mountain lodge in Aspen; a loft in a repurposed butter factory in Manhattan; a vernacular white villa in Cabo San Lucas; a Romanesque building on Stanford’s campus; and a rambling, weathered shingle house in Martha’s Vineyard. 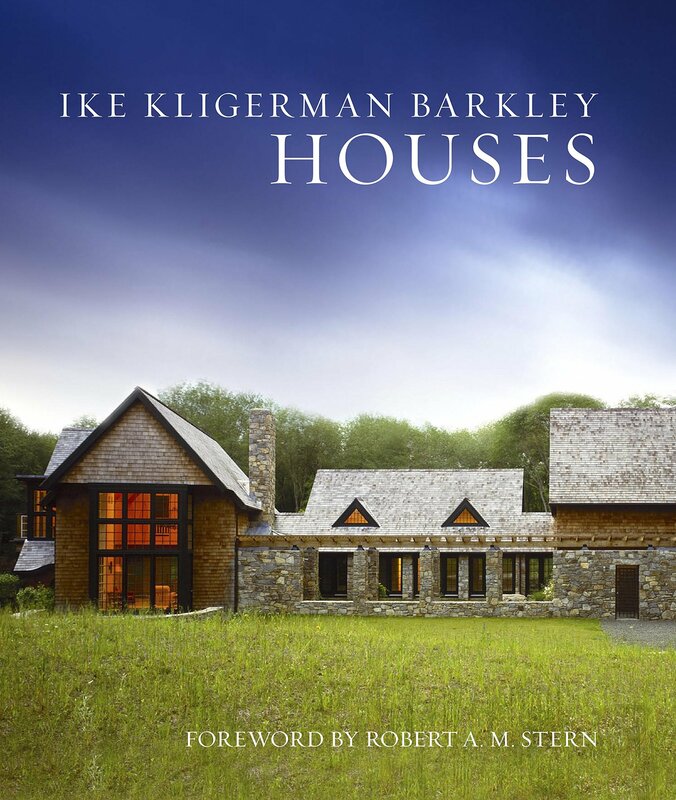 Ike Kligerman Barkley: Houses by Ike Kligerman Barkley (Monacelli Press, 2010). Design: Ike Kligerman Barkley. This firm collaborates with clients, craftsmen and colleagues to produce personalized living environments as well as the occasional high profile public building. In 25 years, they designed buildings across the country and around the world: a Georgian townhouse in the River Oaks neighborhood of Houston; a mountain lodge in Aspen; a loft in a repurposed butter factory in Manhattan; a vernacular white villa in Cabo San Lucas; a Romanesque building on Stanford’s campus; and a rambling, weathered shingle house in Martha’s Vineyard. 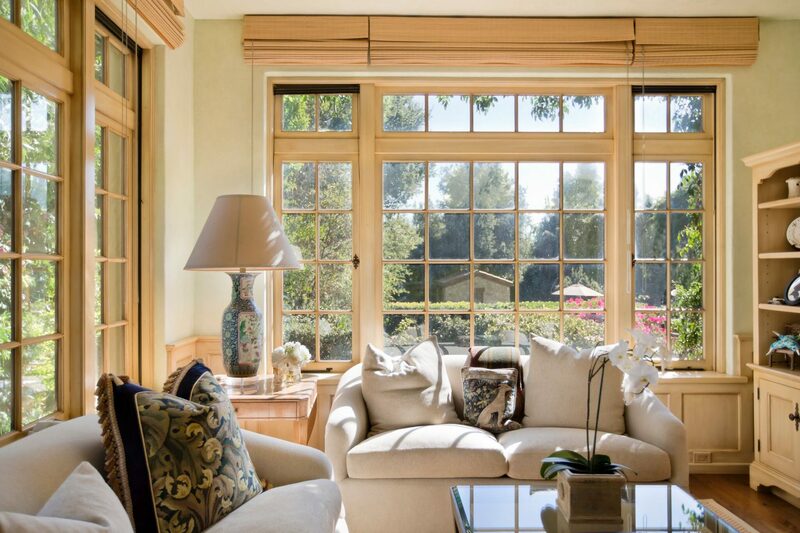 Interior Designer Patrick Sutton is recognized for creating luxurious and timeless spaces. He spent his childhood touring the world at the side of his father, a travel journalist, and mother, a fashion model. From the sunsets in Kenya to the seasides of the Amalfi Coast, Sutton developed a vivid visual knowledge of the world’s most beautiful spaces. Now based in Baltimore, Sutton uses these memories to craft designs closely related to his clients and their stories. A breathtaking kitchen. Photo: Roger Davies. Interior Design: Patrick Sutton. 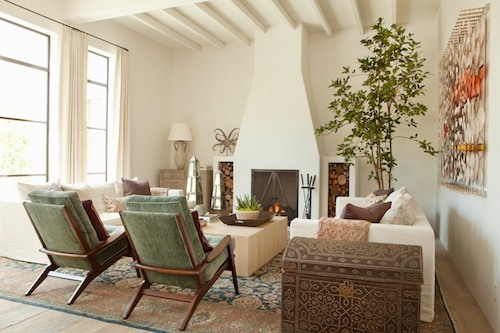 This designer is recognized for creating luxurious and timeless spaces. He spent his childhood touring the world at the side of his father, a travel journalist, and mother, a fashion model. From the sunsets in Kenya to the seasides of the Amalfi Coast, Sutton develop a vivid visual knowledge of the world’s most beautiful spaces. Now based in Baltimore, Sutton uses these memories to craft designs closely related to his clients and their stories. Dark dramatic walls and classic furnishings. Photo: Roger Davies. Interior Design: Patrick Sutton. 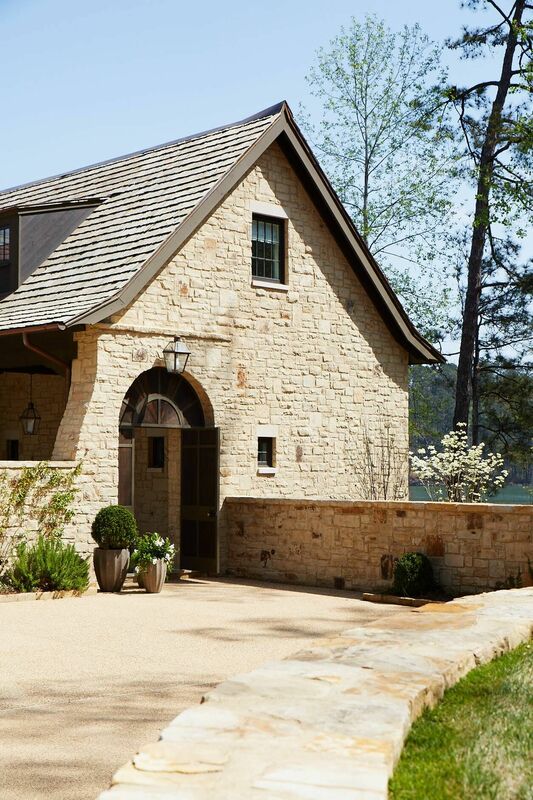 This designer is recognized for creating luxurious and timeless spaces. He spent his childhood touring the world at the side of his father, a travel journalist, and mother, a fashion model. From the sunsets in Kenya to the seasides of the Amalfi Coast, Sutton develop a vivid visual knowledge of the world’s most beautiful spaces. Now based in Baltimore, Sutton uses these memories to craft designs closely related to his clients and their stories. In his first book, STORIED INTERIORS, Sutton explores the relationship between the story we all carry in our mind of what our life might look like, the spaces we live in, and lifestyle we dream of. Sutton showcases sophisticated environments of ten residences and four hotels and restaurants, including the award-winning Sagamore Pendry Baltimore Hotel. Patrick Sutton: Storied Interiors (Images Publishing, 2018). So much cozy warmth! Photo: Roger Davies. Interior Design: Patrick Sutton. 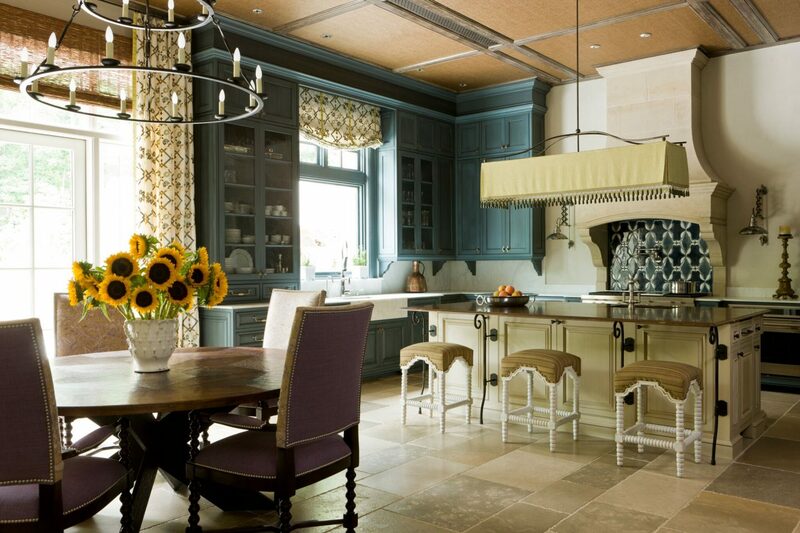 This designer is recognized for creating luxurious and timeless spaces. He spent his childhood touring the world at the side of his father, a travel journalist, and mother, a fashion model. From the sunsets in Kenya to the seasides of the Amalfi Coast, Sutton develop a vivid visual knowledge of the world’s most beautiful spaces. Now based in Baltimore, Sutton uses these memories to craft designs closely related to his clients and their stories. The firm’s philosophy is client-centered and geographically specific, and brings decades of experience collaborating with top architects, contractors, landscapers and specialized tradespeople. Tom and his team apply a synergy of technology and creativity to shape spaces into special environments that are warm, inviting and visually engaging. 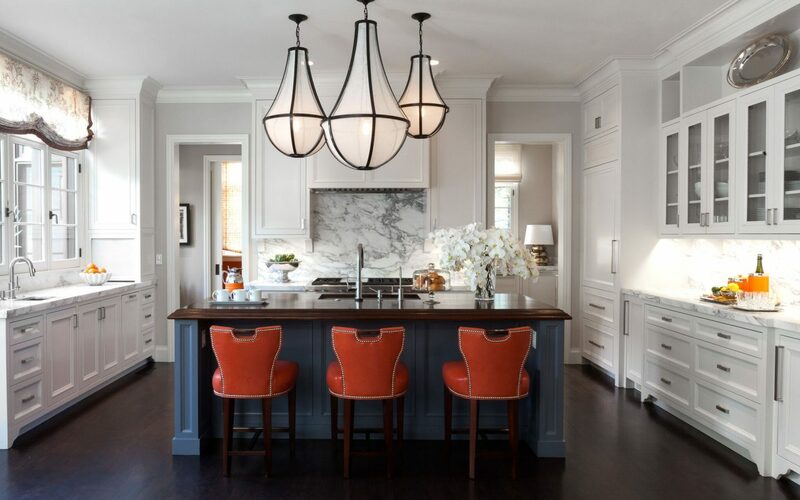 Here’s one of my favorite kitchens from the firm’s portfolio! Pretty meets handsome. Design: Tom Stringer. With the same energy that inspires his own love of travel and collecting, Tom and his creative team incorporate their clients’ passions into their work, creating a relaxed glamour that is both personal and elegant. 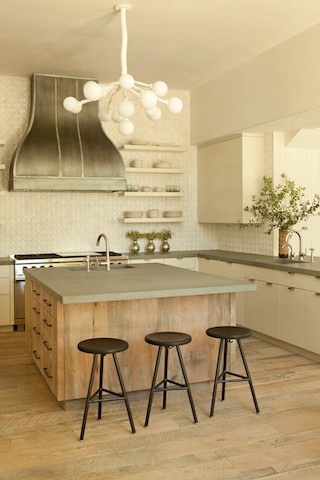 Stunning English Country Kitchen Design Inspiration! Very interesting. The first shot shows such a nice entry–inviting AND protected, which is so nice. But then I had some questions. I realize some things are just for staging, like that amazing porch with shutters that has a lamp right by the open space–doesn’t it blow over? Or get rained on? The shutters open out, so that means there’s no glass on the openings. And upholstered furniture in a space that is at least partially exposed to the elements? Great space, but on a practical level, I don’t think the décor would work. My neighbor’s cats would make a mess of that upholstery in one night. 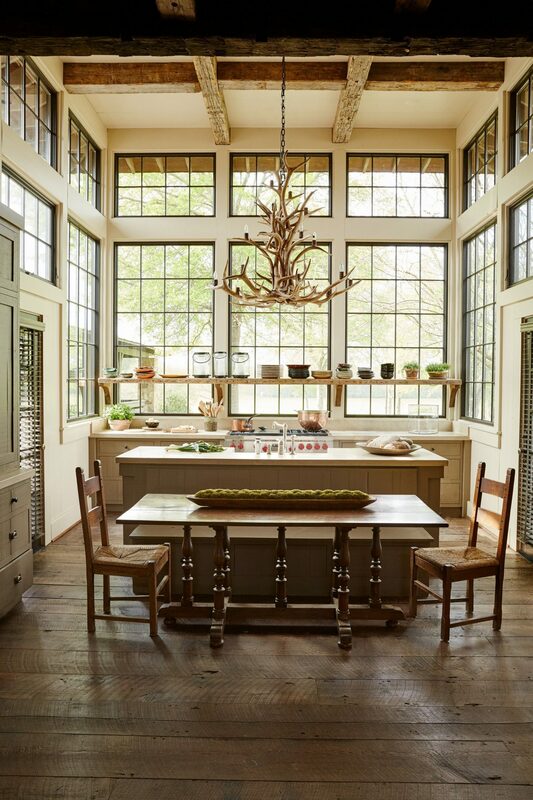 Similarly in the first kitchen with those jaw-dropping windows–amazing light, but it looks like the windows don’t open. I don’t think I could handle having nonoperable windows. The stove seems to be centered just below the windows, with the sink on the island. Windows for a backsplash? How do you clean those windows, so high, with all those panes and that shelf of stuff in the way? My French friends clean their windows every week. And there’s no exhaust hood for the stove, so all the steam would wreak further havoc on the windows. No exhaust hood and windows that don’t open–they must smell their fish dinners for a full week. OTOH, I guess some people have “show” kitchens that they don’t actually use and staff to clean everything. I love your posts and read every one. I love the volumes, too. I loved every photo. But when I looked to see “how can I get some of this magic in my house” I started to notice not-practical details. Not a party pooper at all – you add so much constructive depth, and I love your lens! Truly! Such inspiration today Michele! 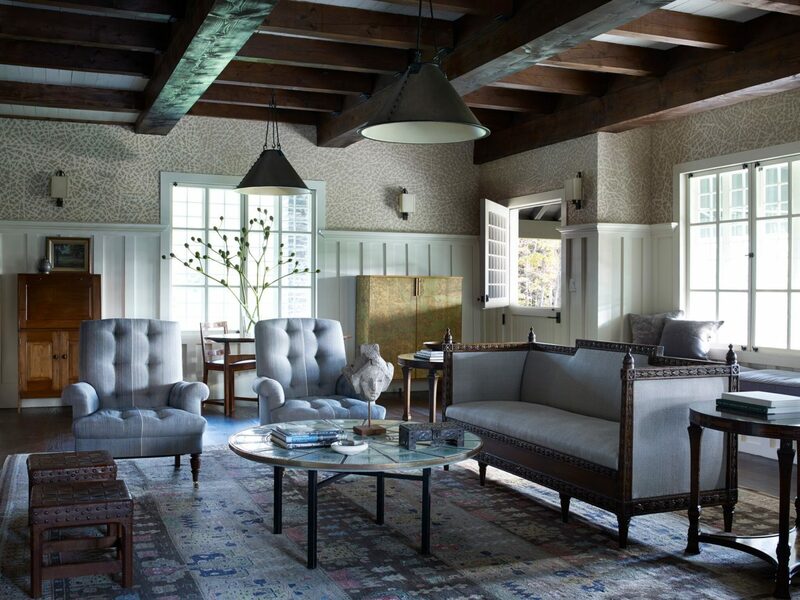 Patrick Sutton’s dramatic dark-walled living room stopped me in my tracks. It has the right amount of mood and light, just perfect. Some of these spaces are so beautiful and others I concur with Taste of France, the spit in the kitchen? I would get so much more use out of a pizza oven! I do love to see beautiful design because I think one can take aways something from everything! Have a great week Michele. Michelle!! Thank you for posting on all of my books! I am the agent and packager for each of these architects and appreciate your reviews. Simply fantastic!